Published on 13 July 2012. 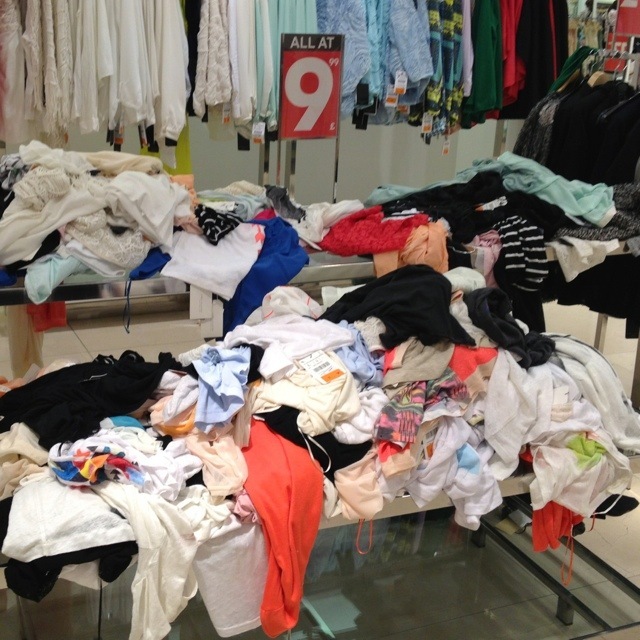 I don’t understand who would rummage through their local clothes dump Zara store for the pleasure of spending £9 and 99 tiny pence for a screwed up, thrown on the floor piece of clothing. However, Inditex’s bulletproof financial performance proves that lots of people do! Mystifying! This 1,722nd post was filed under: Photo-a-day 2012, Retail.